Mt. Blue State Park on Webb Lake. Photo Courtesy of Colleen Parker/ Iowa Images Photography. With more than 3,000 rugged, forested and mountainous acres to explore, Grafton Notch State Park (1941 Bear River Road, Newry; 207-824-2912) is an outdoor enthusiast’s mecca. This scenic state park nestles in the Mahoosuc Range, offering backcountry hiking trails – including 12 miles of the Appalachian Trail – that reward intrepid trekkers with amazing views, such as the one from the top of 4,180-foot-high Old Speck and multiple waterfalls and gorges. The park is also a popular destination for bird watchers; it’s part of the Maine Birding Trail and is home to peregrine falcons, as well as a diversity of northern forest and songbird species. Other activities include hunting, fishing, snowmobiling, cross-country skiing and snowshoeing. There are no campgrounds within the park, but low-impact camping is allowed on public lands. Pets are welcome and the park is open year-round. Entrance fees start at $2 for adult residents, $3 for non-residents and $1 for seniors and children. Mt. 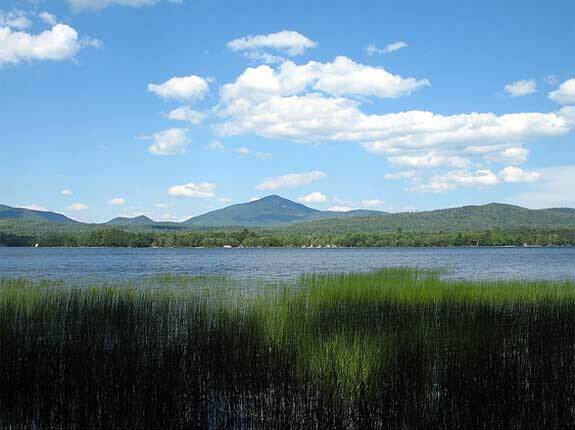 Blue State Park (99 Center Hill Road, Weld; 207-585-2347) nestles in the Western Mountains, just next to the Mt. Blue Tumbledown Public Lands. This 8,000 acre park is divided into two sections separated by six-mile-long Lake Webb, and its sandy beaches, boating, canoeing, swimming and paddle boarding. The Webb Lake campground has 136 sites and offers boat rentals and nature walks from May 15 through Columbus Day. The park is open year-round; winter visitors enjoy ice skating, sledding, snowshoeing and cross-country skiing. Other popular activities include hiking and mountain biking on Mt. Blue’s 25 miles of trails and lake fishing. Leashed dogs are welcome in the park. Entrance fees start at $4 for adult residents, $6 for non-residents, $2 for seniors, and $1 for children. Range Pond State Park (State Park Road, Poland; 207-998-4104), just a few miles from the urban centers of Auburn and Lewiston, provides the backdrop for a sunny day spent swimming, sunbathing and strolling along a lakefront promenade or on 2 miles of hiking trails. This 750-acre park attracts windsurfers, paddlers and hikers in summer and cross-country skiers in winter. Bring a picnic lunch and dine in one of the park’s picnic areas. Leashed pets are allowed. Entrance fees start at $4.50 for adult residents, $6.50 for non-residents, $2 for seniors, and $1 for children. The Rangeley Lake State Park (South Shore Road, Rangeley; 207-864-3858) encompasses 869 acres and offers a 50-site campground – some sites with views of 9-mile-long Rangeley Lake — with hot showers and a boat launch. The region has long been famous for its brook trout fishing, and today’s visitors also enjoy hiking, hunting, wildlife watching, photography and swimming, as well as a range of winter sports. The park is open year-round; leashed pets are allowed. Entrance fees start at $3 for adult residents, $4.50 for non-residents, $1.50 for seniors, and $1 for children. Sebago Lake State Park (11 Park Access Road, Casco; 207-693-6613) was created in 1938. Today, it encompasses 1,400 acres of sandy beaches, forests, bogs, rivers and, of course, Maine’s second largest lake at 45-square-miles. From swimming to boating, hiking to camping, this park has it all. With 250 campsites with hot showers, boat ramps and a range of summer and winter activities, this park fills up fast; reservations are recommended. Pets aren’t allowed. Entrance fees start at $4.50 for adult residents, $6.50 for non-residents, $2 for seniors and $1 for children.